On March 20, 2019, Detectives from the Ventura County Sheriff’s Office East County Street Narcotics Team and Ventura County Combined Agency Team concluded a narcotics sales investigation into Marcus Waite of Ventura and several of his associates. 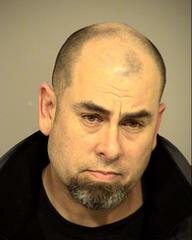 During the months of February and March 2019, Narcotics Detectives began an investigation into Marcus Waite of Ventura. Detectives were familiar with Waite, as he was the subject of a previous narcotics sales investigation. On March 20, 2019, detectives conducted surveillance and watched as Waite associated with several subjects and engaged in activity consistent with narcotics sales. During the investigation, detectives conducted an enforcement stop of a vehicle belonging to Waite in the City of Ventura. 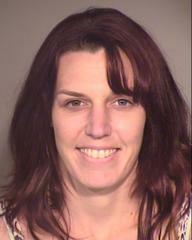 The vehicle was driven by Charlotte Bauer and the passenger was identified as Monique Elliott, both of Ventura. Detectives found both Bauer and Elliott were on active Ventura County probation and both had outstanding felony warrants for their arrests. Detectives arrested Bauer and Elliott for their outstanding warrants. During a search of their person and vehicle, detectives found Bauer in possession of over an ounce of methamphetamine and a small quantity of heroin packaged for sale. Elliott was also in possession of about an ounce of methamphetamine. Bauer and Elliott were both transported to the Headquarters Station for processing. During the continuing investigation, detectives coordinated a traffic stop of Troy Timm, who was observed leaving Waite’s residence. 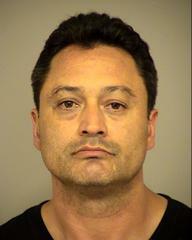 Detectives knew Timm was on active Ventura County probation and also had an outstanding felony warrant for his arrest. Detectives contacted and arrested Timm for his warrant. Timm was found in possession of a small quantity of methamphetamine and paraphernalia used to ingest narcotics. Timm was transported to the Headquarters Station for processing. Detectives continued the investigation and subsequently contacted Waite as he sat inside his parked vehicle near his residence. Detectives conducted a search of Waite’s vehicle and found over 900 grams of methamphetamine inside and a sum of money believed to be drug proceeds. In all, detectives seized 974 grams of methamphetamine and 2.6 grams of heroin from Waite, Bauer, Elliott and Timm. 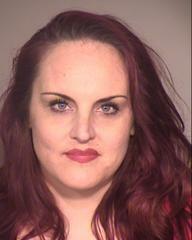 All four subjects were booked at the Pre-Trial Detention Facility for narcotics related offenses. Bauer and Elliott were both booked for their outstanding felony warrants as well as violation of Health and Safety Code section 11378-Possession for sale of a controlled substance. Waite was booked for violation of Health and Safety Code sections 11378-Possession for sale of a controlled substance and 11379-Transportation of a controlled substance. Timm was booked for his felony warrant as well as violation of Health and Safety Code sections 11377-Possession of a controlled substance and 11364-Possession of drug paraphernalia. The Ventura County Combined Agency Team includes detectives from the Oxnard Police Department and the Simi Valley Police Department, who participated in the lengthy investigation.